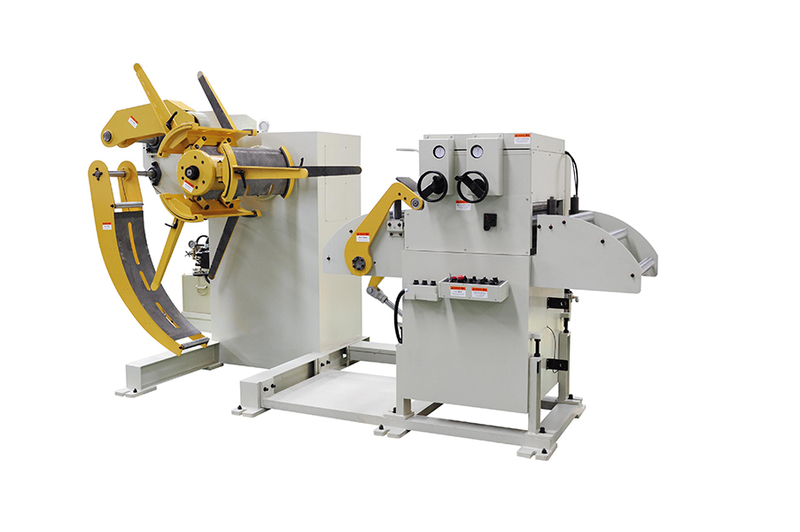 Combo Decoiler Straightener Systems is suitable for all kinds of sheet metal uncoiling straightening, well compatible with NC Servo Roll Feeder for metal stamping line. 1. Coil pressure arm, usually suggest add the coil pressure arm when the thickness is over 3mm and the raw meterial with great elasticity such as silicon steel sheet, manganese steel sheet, high strength material and etc. 4. Feeding line direction is optioanl according to customer requirements. One is from right to left and other is from left to right. Step-1: Decoiler Straightener machine, Loading coil and uncoilling coil and straightening the strips. Looking for ideal Coil Cradle Straighteners Manufacturer & supplier ? We have a wide selection at great prices to help you get creative. All the Leveling And Uncoiling are quality guaranteed. We are China Origin Factory of Sheet Metal Flattening And Decoiling. If you have any question, please feel free to contact us.